The Zionist Federation this week cancelled appearances at three Jewish schools by an outspoken Israeli academic following concerns about his links to an anti-Islamist activist banned from Britain. 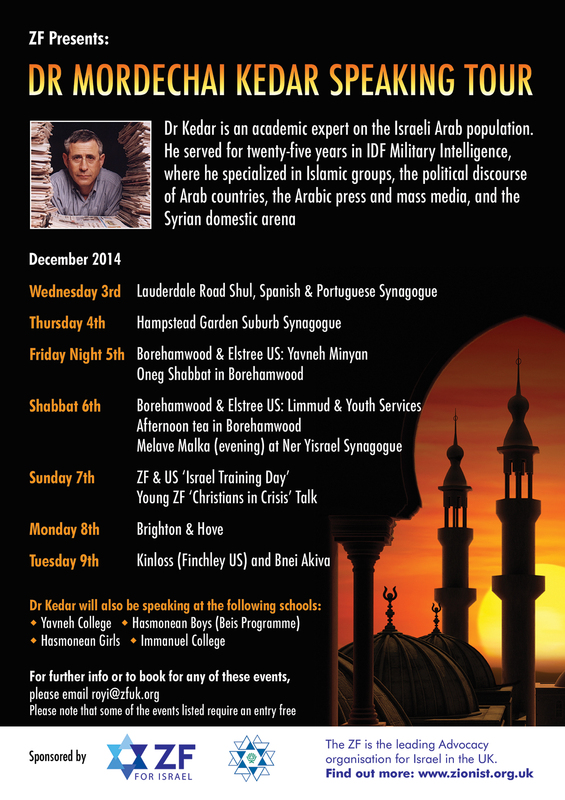 Dr Mordechai Kedar, an expert on Israeli Arabs who regularly appears to defend Israel on Arabic stations such as Al Jazeera, was due to begin a speaking tour on Wednesday night. But ZF chairman Paul Charney said that he had removed the schools from the tour after the intervention of the Board of Deputies. 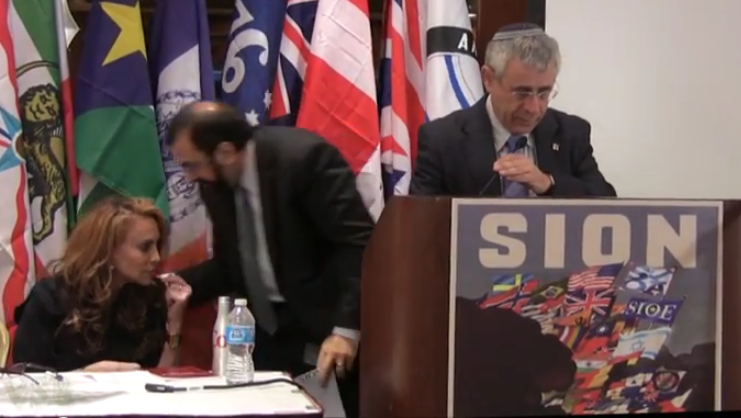 Dr Kedar, who lectures at Bar-Ilan University, has spoken at events organised by Stop the Islamisation of Nations, founded by the Jewish American Pamela Geller, who was banned from Britain last year in a move supported by the Board of Deputies. At a 2012 Sion conference, where speakers also included Tommy Robinson, then of the English Defence League, Dr Kedar urged Europeans to have more babies. Muslims, he declared, were “multiplying – somebody said [like] rats”. Mr Kedar is due to speak at a number of British synagogues over the next few days as well as the ZF’s Israel advocacy conference. But appearances at two synagogues originally listed on his schedule will not take place. His talk at the Spanish and Portuguese Jews’ Congregation in Maida Vale, west London, on Wednesday night was cancelled. Hampstead Garden Suburb Synagogue said that his booking had never been confirmed. Rabbi Dov Kaplan of HGS said: “We probably would have had him and let him explain his comments.” One objector, academic Michael Pinto-Duschinsky, said that the visit would be “toxic for interfaith relations”. This entry was posted in English Defence League, Israel, Resisting Islamophobia, Right wing, UK, USA by Bob Pitt. Bookmark the permalink.